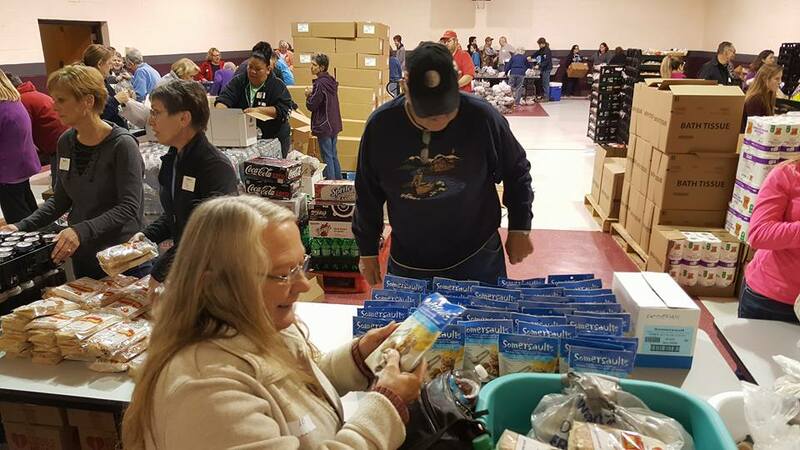 Founded in 2003 on the idea that people are worth more than things, Ruby’s Pantry serves families of all denominations and background in rural areas in Minnesota and Wisconsin. Its mission is to activate people in alert to the needs of others and to be proactive in encouraging faith, showing friendship and meeting tangible needs of neighbors, friends and strangers regardless of race, religion or ethnicity. Ruby’s Pantry partners with a local faith community or civic organization to host Pop-Up Pantry distributions once a month at one of 75 designated Pop-Up Pantry sites. This food bank is difference from a food shelf, which is in a static location, in that it reaches out to guests and meets them where they live. Currently, over 11,000 volunteers are involved monthly at Pop-Up Pantry sites donating over 125,000 hours annually.